A popular meme quotes Abraham Lincoln as saying, “Don’t believe everything you read on the Internet.” The adage is nothing new, but bears repeating as so many are failing to heed it. 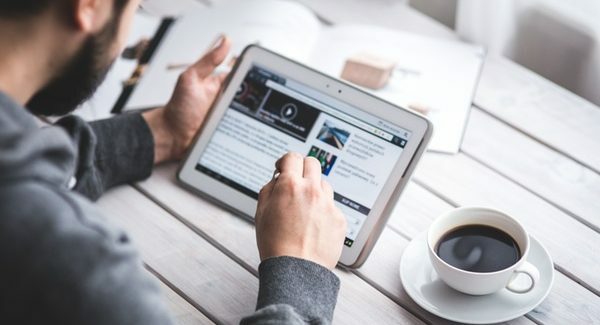 Fake news sites are working overtime to lure visitors with “click-bait” headlines and have harnessed a new, powerful means of distribution: social media. Add to this combustible situation a deeply divided political electorate, and we have an all-out explosion of fake news. All those who care about truth should be concerned. We need to be wise about our consumption of information, and so we are starting a new series to help equip you to discern fact from fiction in the news you consume and share. In the age of social media, we each have a platform, and how we use it is a reflection of our Christian witness. You may have not considered that what you post or like on Facebook or Twitter is a form of endorsement, but that is the way it is often viewed by others. We are intentionally not linking to them so as to avoid any appearance of endorsement. We want to very clear: these sites post intentionally inflammatory misinformation designed to get you to click and share them with others because they make money every time you do. These types of sites traffic in catchy headlines to attract readers. That is called “click bait.” The sources are murky and anonymous and it is hard to determine from where these sites originate, so there is almost no accountability. This was later proved untrue. In fact, Megyn Kelly received a huge $20 million contract offer to stay at FOX. This story was shared so many times on social media, and was reposted on different false sites and reshared, it was “trending” on Facebook. That is a lot of traffic and that traffic translates into profits for the original fake news site. Technology companies are already moving to address the issue of misinformation shared through their channels. Facebook and Google both announced “fake news” sites will be forbidden from using their internal advertising platforms. Without the revenue generation triggered by fake news, the hope is that incentive to produce and disseminate it will dry up. But that does not mean that we, as news consumers, do not need to become more discerning about the sources of information upon which we rely. As Christians, we should be among the people most interested in ensuring Truth triumphs. We know that the Lord detests lying (Proverbs 12:22) so much so that He put telling the truth in the top 10 commandments. We follow the Lord who Himself is the Way, and the Truth and the Life (John 14:6). We stand with Him in opposition to the lies and the Father of Lies who even now is deceiving so many (Revelation 12:9, John 8:44). Ultimately, is the knowledge of the truth that sets men free (John 8:32). We must each ask ourselves, “is it more important that I be the first person to pass this along or is more important that people can trust me to tell the truth which requires that I verify what I am about post?” Being people who can be trusted to tell the truth to others is more important than being the first person to repeat a rumor, or worse, what turns out to be a lie. What we hear and read runs a gamut from the truth, the whole truth and nothing but the truth to outright deceptive guile. We are responsible to take the time to discern the difference before becoming a purveyor of fake news. What kind of questions should we be asking about the source and publisher of the information? How can we determine, to the best of our ability, if a source is trustworthy or credible? How can we balance our news consumption to avoid an echo chamber of information all repeating the same thing? What other questions do you have about fake news and how to discern the truth? Share in the comment section below and we’ll add it to the questions we ask of key experts in the weeks ahead. 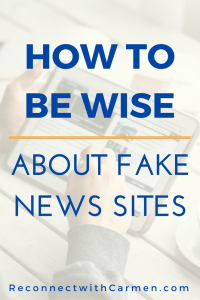 2 Responses to "How to be wise about fake news"